Electric scooters from a startup called Bird started popping up in June around Salt Lake. Without a formal docking station, scooters are left on the sidewalks when not in use. A still under-the-radar company called Bird, founded by former Uber executive Travis VanderZanden, was behind the guerilla scooters. All a person had to do to ride was download the app, scan a license, pay a dollar, give it a kick, push and scoot along. Bird brought the scooters to Salt Lake City with little notice, and began operating without a business license. It's a move the company has repeated in 33 cities across the U.S. — with mixed results. Denver fined Bird $150 per scooter and Nashville filed a cease-and-desist order. In Salt Lake, the company was asked to sideline the scooters until officials and Bird reached a license agreement, which was signed Friday. Jennifer McGrath, deputy director of Community and Neighborhoods for Salt Lake City Corporation, sought to downplay any conflict with Bird. "Salt Lake City is excited about this, but we also let them know that we need people to operate within the regulatory framework and that we have a great partnership," McGrath said. 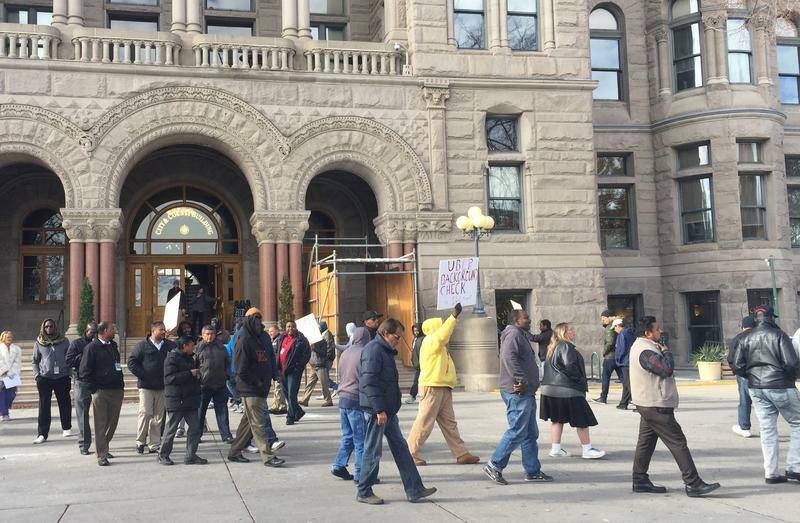 In a written statement provided to KUER news, a company spokesperson said Bird wants to continue to work with Salt Lake officials to build an interim agreement that "supports affordable and accessible transportation options." Salt Lake's agreement includes four other ride share operators, including Green Bike and another electric scooter company called Lime. 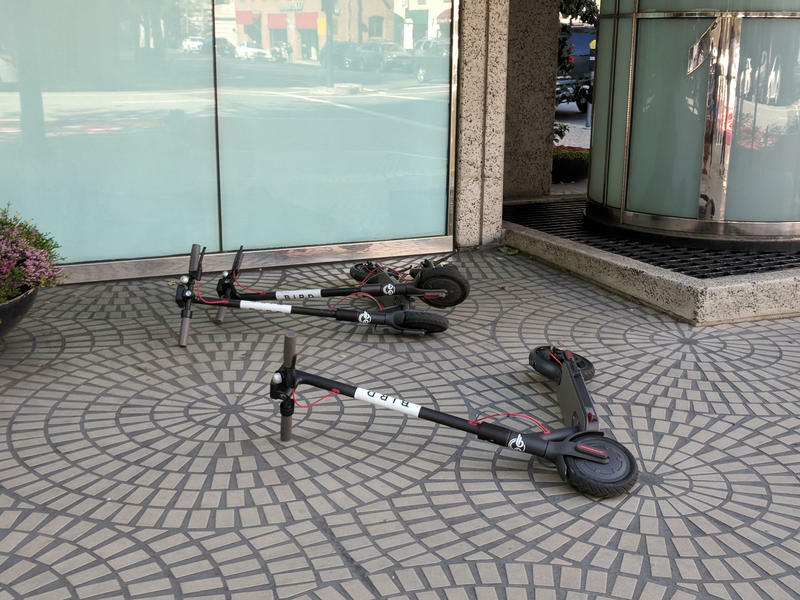 The contract requires the companies to comply with both state law and city code, meaning Bird's electric scooters are treated like bikes in traffic. Bird riders can't be on streets more than four lanes wide, should ride in bike lanes when available and must stay off the sidewalk. It's up to vendors to relay that information how they want. However, the city has also worked to reach out and hear from communities. In a town-hall meeting hosted by the Downtown Community Council on Thursday residents shared their thoughts on the scooters. Vikram Ravi, downtown resident and Community Organizer for the Pioneer Park Coalition, had mixed feelings. "I'm a price-sensitive resident, so for me, can this be something that I can use, that my friends can use if we all want to do something together?" Ravi asked. The interim contract will expire after one year, while the city works to create something more permanent. In the meantime, the Birds have reappeared to nest for a while, just in time for Pioneer Day.